Americans adults are spending more time watching digital video — more than an hour and 15 minutes per day, according to one study. Facebook videos alone get 8 billion views per day and reach 91 million people in the U.S., according to comScore. New entrants and heavy competition are shaking up the market and forcing the top players to unveil new features and pursue new revenue streams. It’s difficult to gauge how this shifting landscape will evolve over the next year, but a map-like visualization can help. Samir Arora, CEO of Mode Media, a platform for branded video and native content, is willing to make some predictions. Snapchat has exploded onto the scene, tripling its daily video viewership in the last six months, to 6 billion per day. Facebook doubled its viewership in that same amount of time, but Arora predicts the two growth rates will remain relatively steady and Snapchat will overtake Facebook as the primary deliverer of user-generated videos. The competition between the two companies could offer new opportunities for advertisers looking to reach an audience that is increasingly found on mobile devices. According to the Wall Street Journal, Snapchat’s ad packages, which were only introduced earlier this year, may not offer the results advertisers are looking for. But that could be due to a lack of understanding of the medium. Snapchat users prefer to watch content in a vertical orientation, and they’ll sit through vertical ads nine times more often than horizontal ones, according to Mary Meeker’s 2015 Internet Trends report. 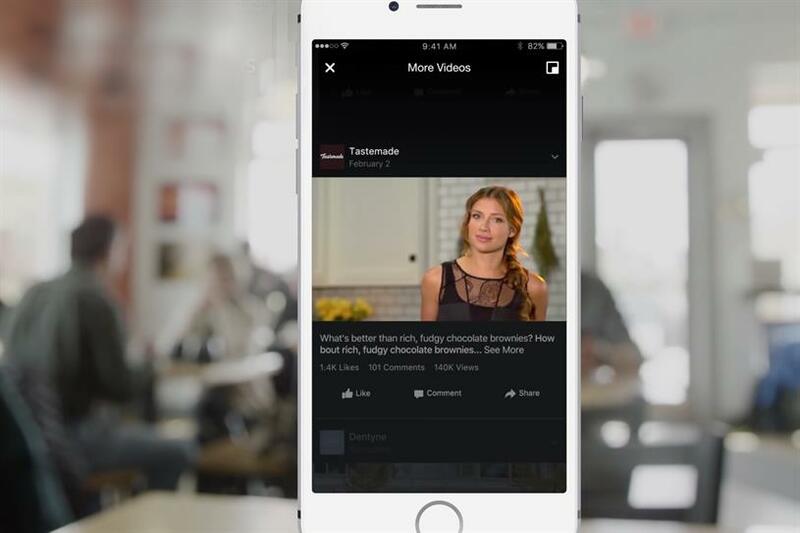 For its part, Facebook is expanding into YouTube’s arena, positioning itself as a place to browse and share videos on multiple channels of content and has new algorithms to serve targeted videos to users. The company is also trying to crack down on intellectual property abuse in an effort to woo creators of high-quality content who are wary of having their work stolen. That’s a market Mode is pursuing, too. While the company is much smaller than Facebook, serving only 1 billion videos per month, the platform doesn’t accept user generated videos, choosing instead to pay vetted content creators to make longer, better looking videos and distribute them through a combination of proprietary and partner channels. Arora predicts his company will overtake Vimeo in the next six months as the largest platform for professional video creators. "Two to four minutes is what I consider the core of quality episodic content on the internet," Arora said, explaining the company’s focus on videos much longer than the 10 seconds allowed by Snapchat or the 1-minute length of the average Facebook video. While there’s more growth among short videos, there may be more money in longer ones. Snapchat has yet to figure out a sustainable business model, but Mode paid content creators more than $100 million over the last four years, prior to breaking into video. If that model sounds a little like television, that’s intentional. "Professional content is the environment brands prefer over user generated content, Arora said. "They’ll play in user generated content because they have to, but most advertisers come from TV in terms of video." He noted TV broadcasters are also pursuing the sub-5-minute video sweet spot. "As they package their long-form content in some shorter clips, or mid-form as we call it, these mid-form clips do better than long-form for them." At the same time, look for the long-form space to get more crowded, as YouTube offers more full movies or documentaries and entire television episodes, pitting it directly against subscription services like Netflix, Hulu and HBO Go that viewers are using to replace cable and broadcast television. Advertisers may like the television format, but as viewers decide they don’t and go digital, the ads will follow.